MADRID | The Summit has just avoided the worst from happening. Super-Mario and an unexpectedly bold Mariano Rajoy achieved a coup d’état toppling Ms Merkel from her undisputed pedestal. Hollande’s support was vital in depriving her of her hitherto boundless power. Direct financing of ailing banks plus the possibility to tap the rescue fund for buying sovereigns has come as a relief to the markets. 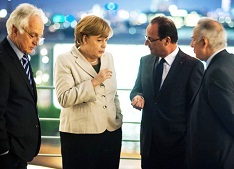 But details are to be worked out and Ms Merkel will seize that opportunity to make sure tough conditions are imposed. Providing money for free would only serve to wipe out any remnant of fiscal discipline, thus undermining the euro’s credibility in future. n badly needs a thorough repairing. So long fiscal performance between countries diverges potential instability will prevail. So long banks are run on a national basis, its eventual discomfitures will feed into sovereign crisis. 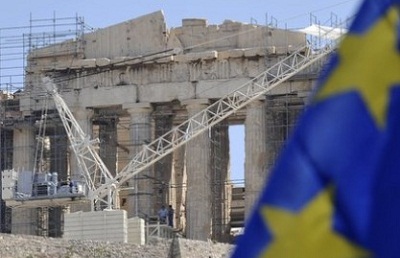 So long the European Central Bank does not act as a last resort guarantor to the whole system, Europe will fail to provide enough confidence to investors. France has made clear its intention to hold the fiscal compact as a hostage in the incoming discussions. It will only indulge into limited concessions on sovereignty in exchange for frontloaded steps in mutualising risk. A bad omen for the prospects a revamped EMU might come into force. For all the assurances to work together with Germany in putting on foot a fiscal, banking and political union, François Hollande seems in no hurry to embark himself in any far reaching trip. The general election due to be held in Germany early next year will reduce the margin of manoeuvre for engaging in further concessions. Plans to shore up the EMU might be shelved for longer than expected, thus leading to a scenario where further crises might develop. The Summit has secured a truce from the markets. But it may not hold for long.